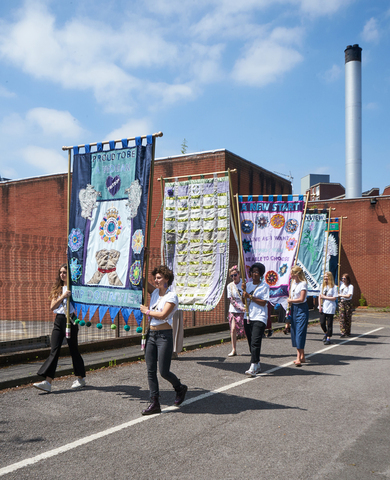 Procession Banners commemorates the 100-years of the Suffragette movement, and in memory of 1,000 suffragettes that were imprisoned at Holloway women’s prison during their struggle to obtain the vote. 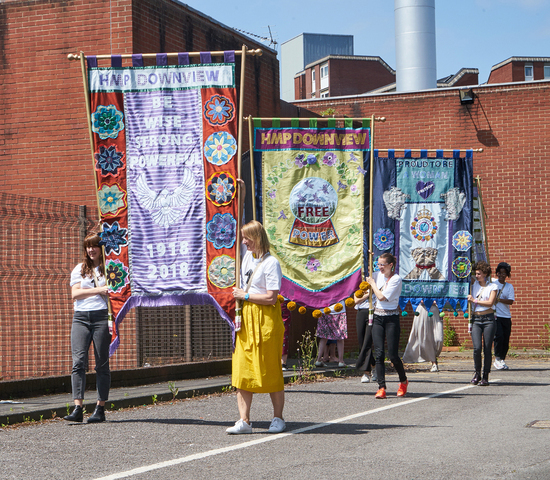 HMP Holloway in London was one of the most notorious sites associated with the Suffrage movemen. 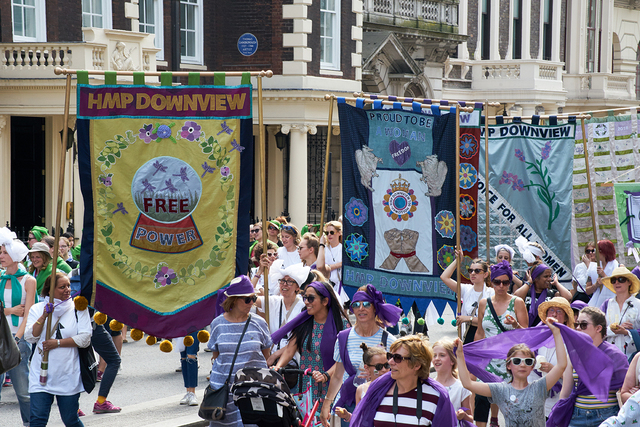 It closed in 2016 and 300 women were moved to HMP Downview. 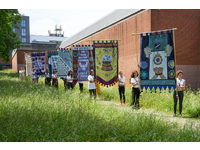 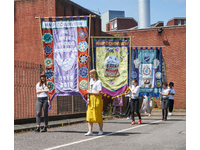 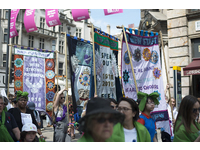 In January 2018, Lucy Orta began engaging women across HMP Downview in a process that led to the creation of a series of commemorative banners for a performance at the site of the former Holloway prison followed by the centenary mass-march Processions which took place simultaneously in London, Cardiff, Edinburgh and Belfast on June 10, 2018. 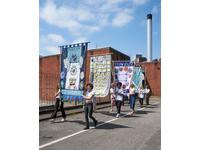 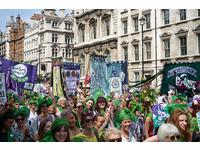 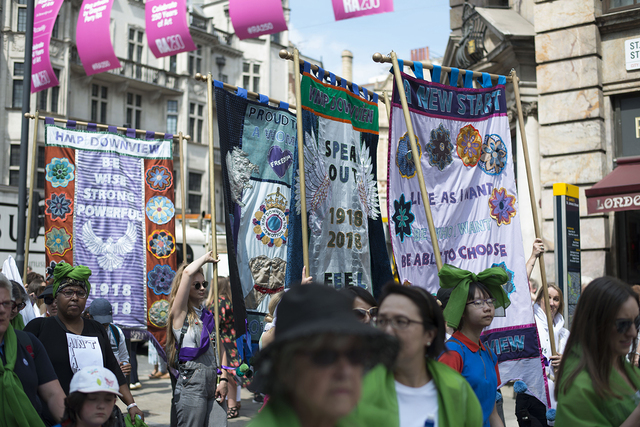 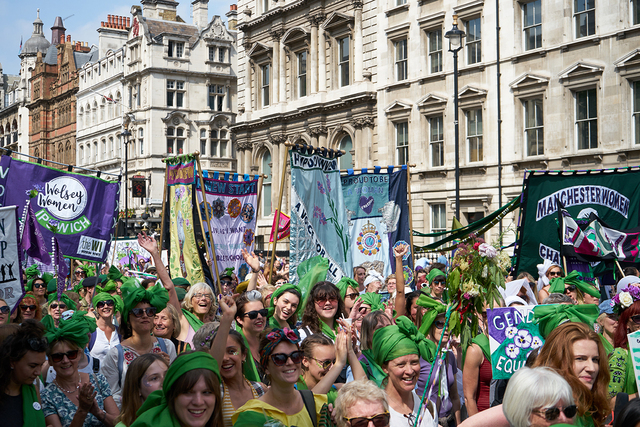 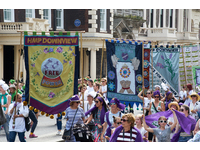 The design for the HMP Downview procession banners draws from historical perspectives on the suffragette campaign, hand-crafts and responsive workshops to collect testimonies, considering what it means to be a woman today, the power of the vote and our shared future. 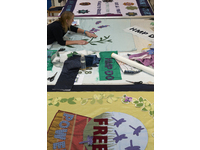 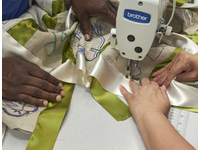 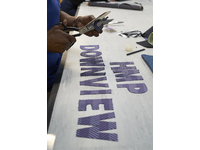 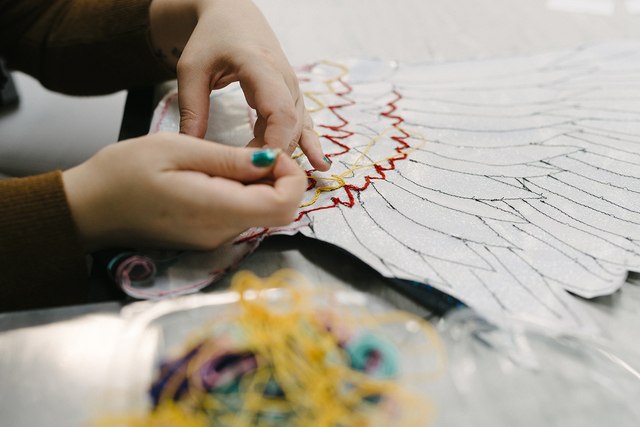 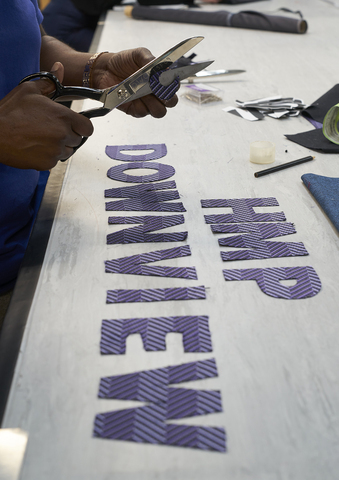 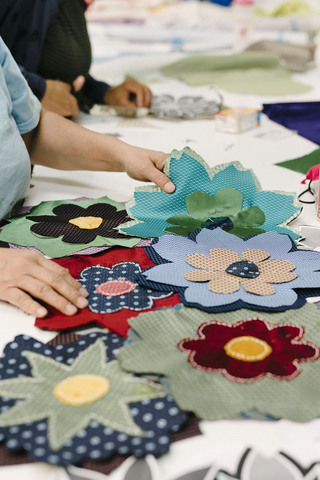 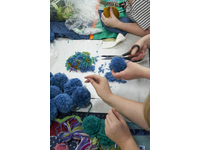 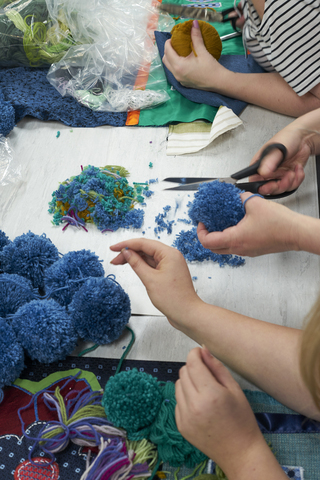 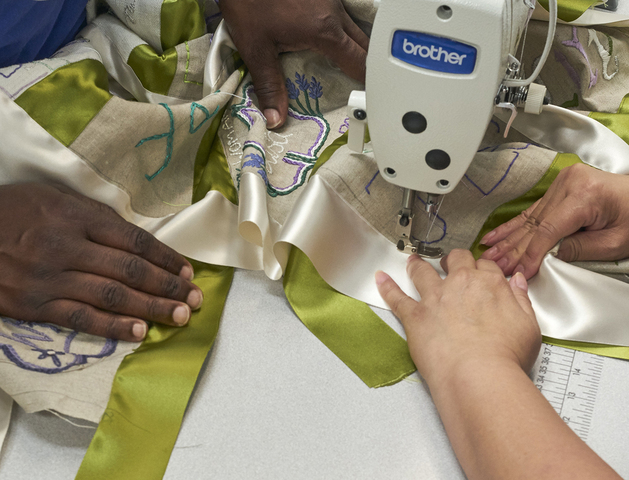 The hand-embellished panels were assembled collaboratively in Making for Change, an education training facility at HMP Downview established by the Ministry of Justice and London College of Fashion (LCF) that equips prisoners with employability certifications before the end of their sentence. 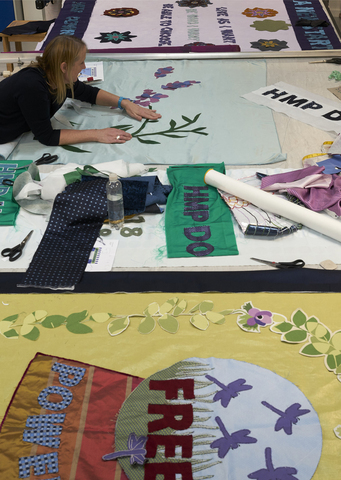 Credits: Lucy Orta with women at HMP Downview Prison and student volunteers from LCF, coordinated by Social Responsibility at LCF. 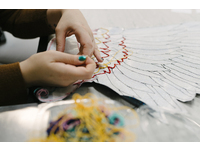 Photography Michelle Marshall and Lance Tabraham. 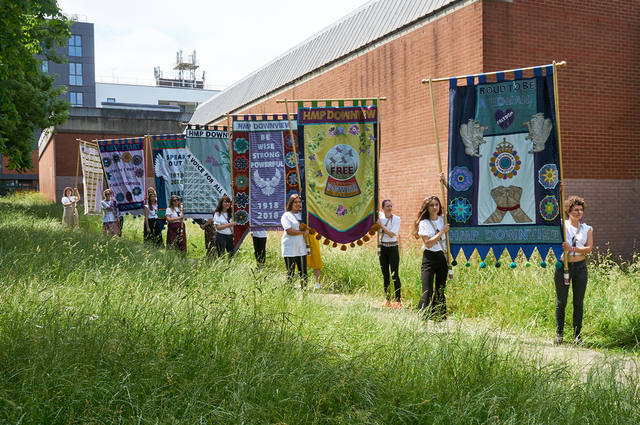 The mass-procession was produced by Artichoke as part of 14-18 NOW to mark the centenary of the women’s right to vote, in a living, moving portrait of women in the 21st century.